What’s the difference between fully bespoke, semi-bespoke and a made to measure suit? 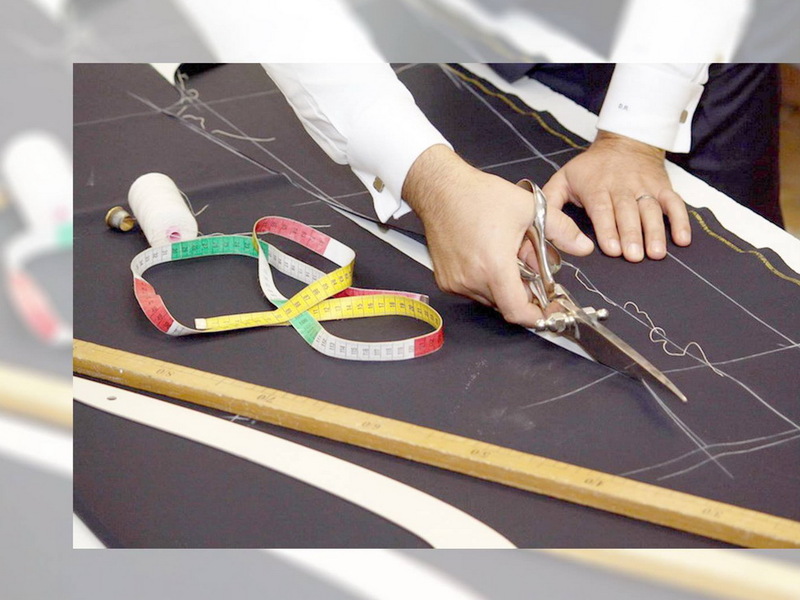 A fully bespoke suit is a hand crafted with approximately 5.000 individual stitches involving over 80 hours of intensive labour and includes a baste stage fitting (half-made suit fitting). A fully bespoke suit made by a master tailor of Italian National Academy of Tailors would start from €2.000. A made to measure suit also known as a semi-bespoke suit is a half way between an off the peg and a fully bespoke. The suit is constructed according to the customer measurements with a combination of machine and hand labour. The suit is made straight to the finish with no baste stage fitting making it quicker and more economical to produce. Your prices seems too good to be true, what is the catch? We do not have fancy shop fronts or premises with high rent costs therefore we can pass our savings to you. We work from intimate offices in Turin. Our main priorities are quality, customer services and affordability. We believe you will not be able to find the same great quality or service at a lower price from any of our competitors. Some of your competitors claim to have bespoke suits from €449 how do they compare to yours within the same price range? Some of our competitors like to advertise ridiculous low price but then charge you extra to get measured or you have to measure yourself. Not only that the suit comes with standard options such as 1 cuff button (I mean who buys a suit with 1 cuff button? ), then they charge you extra for having extra buttons. Very cheeky. When you add up all the extra options you are actually paying 50% more than the original advertised price. Here at Sartoria Robu our tailored suit starts from €679 with no hidden charges. There are vast amounts of options to choose from that will not cost you an extra penny. If you go for a fully bespoke suit, there is no limit, all you have to remember is that bespoke means anything you like. We like to iterate once again, we believe you will not be able to find the same great quality or service at a lower price from any of our competitors. How long does it take to get my suit done? – For a made to measure suits the average turn around time is approximately 6-8 weeks. – For an entry bespoke suit its approximately 8 weeks. – For a fully bespoke suit its approximately 8-12 weeks as there is the baste stage fitting. All the above time does not include alterations. The above turnaround time can also vary depending on the current order volume, availability of fabrics and specific order requirements. If you were measured by one of our tailors, the alterations are free. If you provided us with your own measurements then we can give you a discounted price on the alterations. Simply book an appointment. In most cases our tailors will ask you to try the garment on. Armed with some pins, chalks and a measuring tape our tailors will mark the alterations areas for you. Alterations normally take two weeks but can vary depending on the complexity and volume of orders. Once the alteration is done you can come and collect it or we can courier it to you for a small fee. Do you do alterations for garments that are not made by you? Yes. Please contact us to discuss your requirements and prices. Do you do women’s suit, shirts and overcoats? We do not create women’s suit, shirts, gloves and shoes but we can recommend you the best professionals, with vast experience and international recognition. Taking good care of your suit will not only keep you looking great but also help your bespoke suit last for many years to come. To keep your suit in the best condition we recommend purchasing 3 items: A lint tape roller, a clothes brush and a steamer. We also recommend after each wearing to remove any items from your suit pockets. This will help prevent the suit from sagging or bulging. To remove hair, surface dirt and lint brush the suit with a lint tape roller. Hang your jacket and trousers on seperate hangers for at least an hour to air out your suit. This helps gets rid of any absorbed odours such as cigarette smoke. Hang your suit inside a bathroom after having a shower or bath as the steam will help relax the fabric and removes creases. It is best to leave the suit in the bathroom for at least 30 minutes. We highly recommend to hang your suits on a wooden or plastic padded hanger rather than a wired hanger to help maintain the shape of the suit. Brushing your suit regularly will help prevent creases. Use shots of steam to get rid of any creases. Treat any stains immediately to avoid them being permanent. DO NOT press your suit if there is a stain. This will press the stain into the suit therefore making removal impossible. Why does my suit go shiny? Suits turning shiny tends to be caused by dry cleaners pressing your suit at a very hot temperature. This causes the natural oil inherents in the wool to dry out. To ensure your suit is dry cleaned properly we highly recommend you to take your suit to a specialist dry cleaners.